GREENFEST 2014 – Fly Fishing Is Represented! I will be there. Will you? I will be manning a table at the GreenFest, handing out information on fly fishing, tying flies and doing casting demonstrations. The event runs from noon to 6-pm. Feel free to come out, enjoy the festivities and even help with answering questions about fly fishing this part of North Texas. 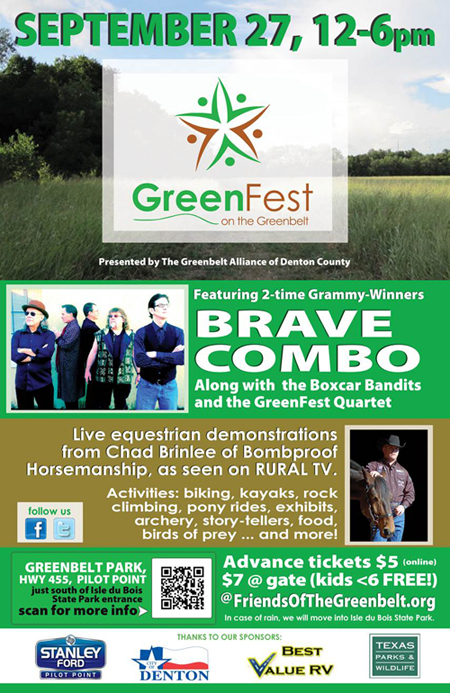 For more information, go to www.friendsofthegreenbelt.org, or contact me and I will get back to you as soon as possible.